Baking bread or Hunting for Czech bread in England (Part II) – Tasting the World – On the road, with stuffed hand luggage and face. Camera in my hand. I think I did it! I found the recipe for bread that most resembles the one I know from where I live in the Czech republic! 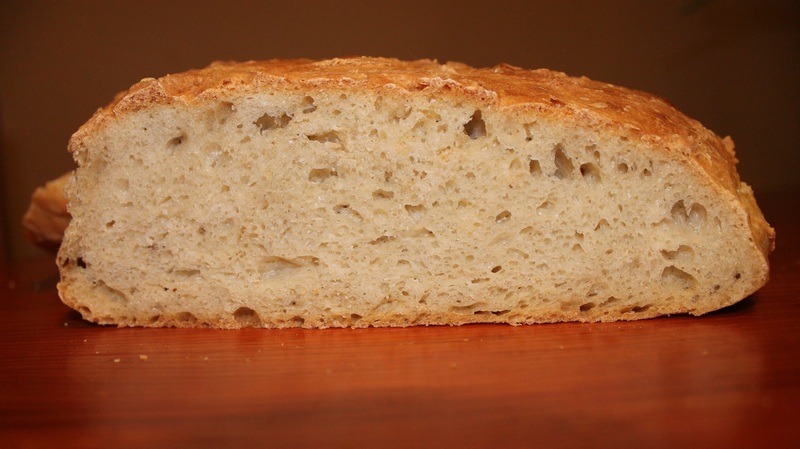 As I wrote in my previous post, I haven’t tried to make bread by hand and bake it in the oven – till the last weekend! After seeing some pictures in one FB group for Czech people cooking in England I was happy that they shared the recipe so that I can try it as well. It was surprisingly easy, quick and the result was great. By quick I mean you just mix the ingredients, let it rise for an hour and put it into the oven – and out. So it takes some time, but there´s not too much kneading and you have to knead it only once. 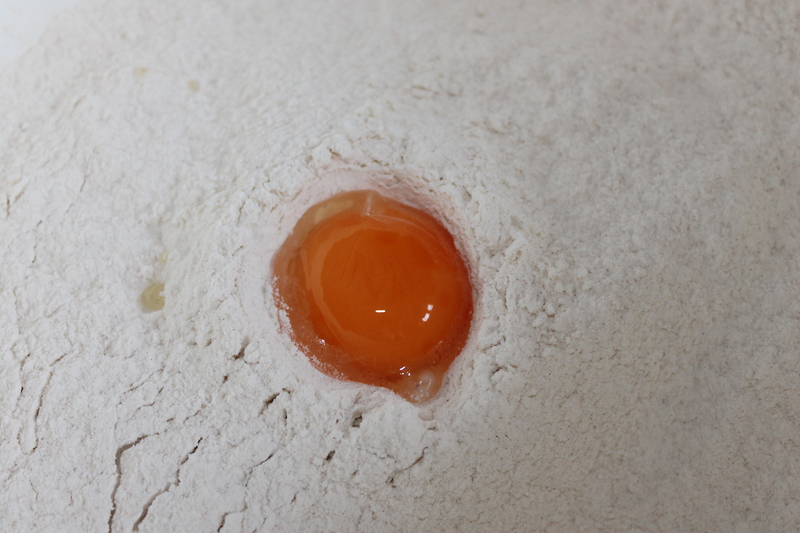 Sift through the flour + dry yeast into a bowl, add egg yolk, salt, cumin and lukewarm water. 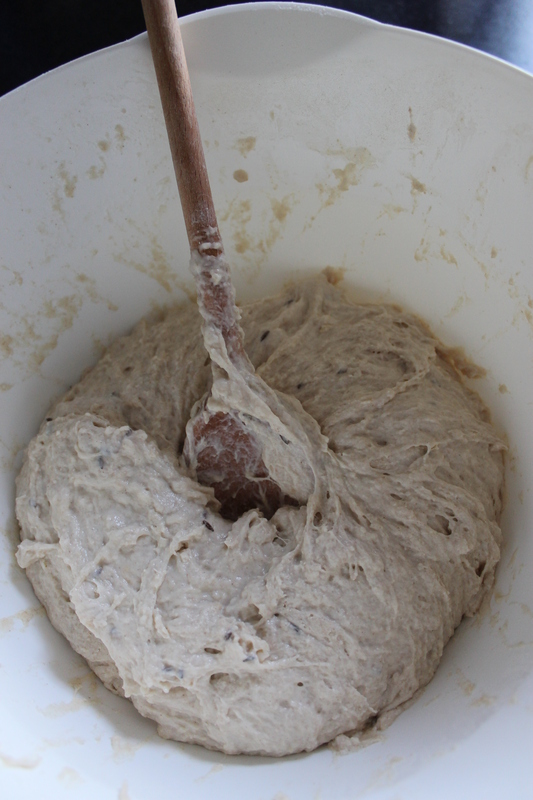 Knead the mixture properly and let it rise for 1 hour. 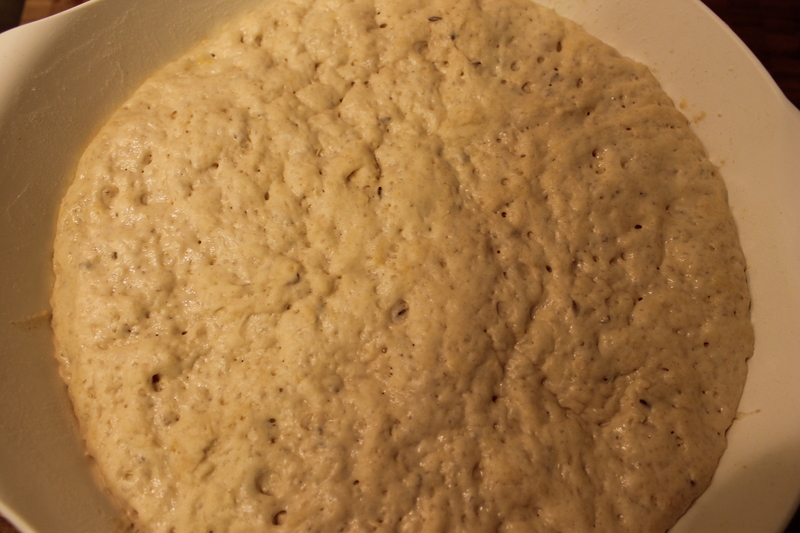 Above is the mixed dough before rising and below after rising. I baked it as recommended, 10 minutes at 240°C in pre-heated oven and 50 minutes at 180°C. And this is the result – crispy crust and moist, fluffy middle. The only thing that could be improved is to make it higher next time. 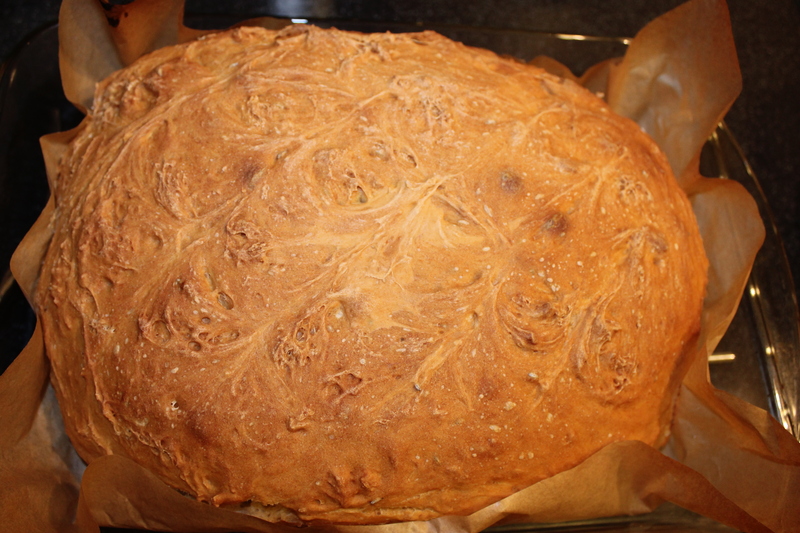 Now the bread was a bit flatter than expected, but that´s probably because I don´t have proper form for bread baking and so it can spread on the tray. Today I had a slice of the bread with Hungarian lecso for lunch and in the evening with tzatziki for dinner. It´s just so versatile! What about you and bread baking? Any comments or suggestions, tips or tricks? I heard that the food Czechs living in Britain miss the most is, besides bread, salami of the Vysočina type and rum Tuzemák for baking 🙂 That’s at least what I was asked to bring when visiting Czechs in Edinburgh! True. Everybody has their favourites 🙂 I would miss Pribináček, Kofola, Czech mustard, Czech flour and many other things as well… Fortunately we have a well-stocked shop with Czech and Slovak food here!